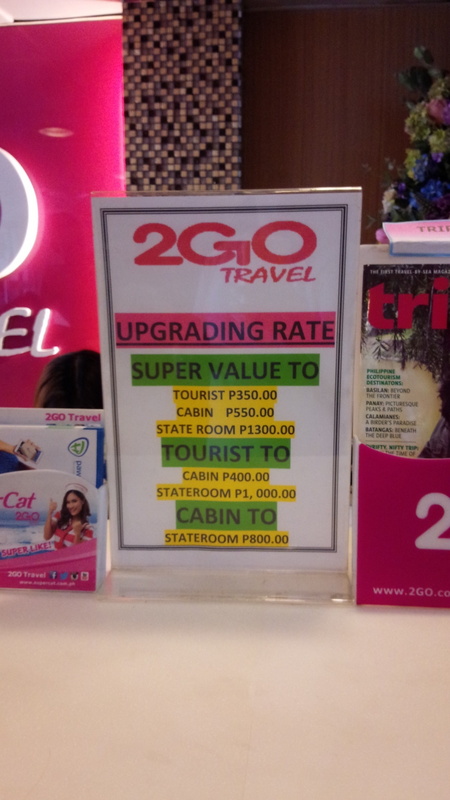 2Go Travel, not to be confused with 2Go express rates, is one of the largest ferry companies in the Philippines which caters for passenger sea travel around the islands of Luzon, Visayas and Mindanao. As travelers who have a lot of time on our hands my wife and I decided to take a ferry to Coron Palawan from Manila, Philippines. The travel time takes longer to get to your destinations but it's a more spacious and a relaxing experience versus flying on a plane. Our boat was one of their smaller vessels St. Augustine of the Hippo. Depending on where you’re destination is the size and kind of the ferry will differ but most accommodation spaces are the same size from what I've seen. The location of where these spaces are situated on the boat are the only difference. After booking a ticket online we print out our itinerary and read the instructions. Call time for checking in at the terminal is 4 hours before departure. Our 2GO ferry bound for Coron leaves at pier 4 in Manila. 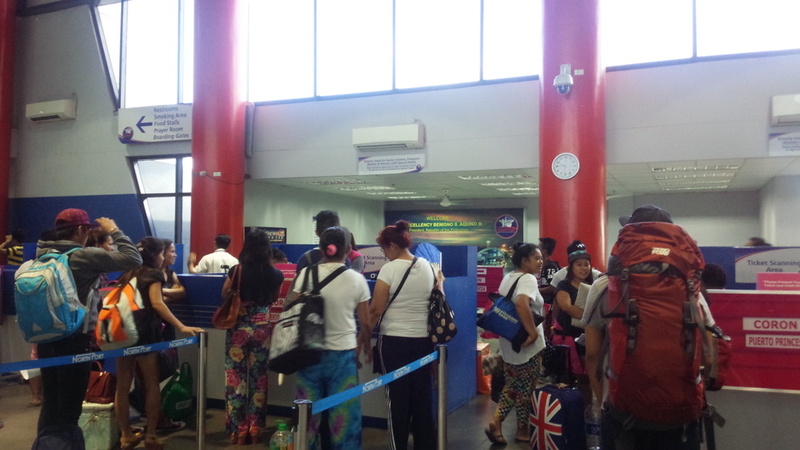 When you get to the terminal you are expected to pay a fee of 95php for a regular passenger. Inside the terminal is just like at any airport you go through a baggage check. After that you'll go up to the counter to get your ticket checked complete with passenger's id's and 2 copies of your itinerary. Once all is good they'll take your picture for their ferry manifest. A 2GO employee will then instruct you on where to sit and wait before boarding is allowed. Unlike a plane where boarding doesn't start until the last hour before a departure, on our boat we boarded a good three hours before leaving. Waiting in line for the free meal included in every ticket purchase. Once on the ferry a 2GO employee will assist you on how to get to your assigned bed. Beds are big enough to occupy yourself and a few carry on sized bags (super value accommodations). Pillows and linens can also be rented for 30php for your beds. 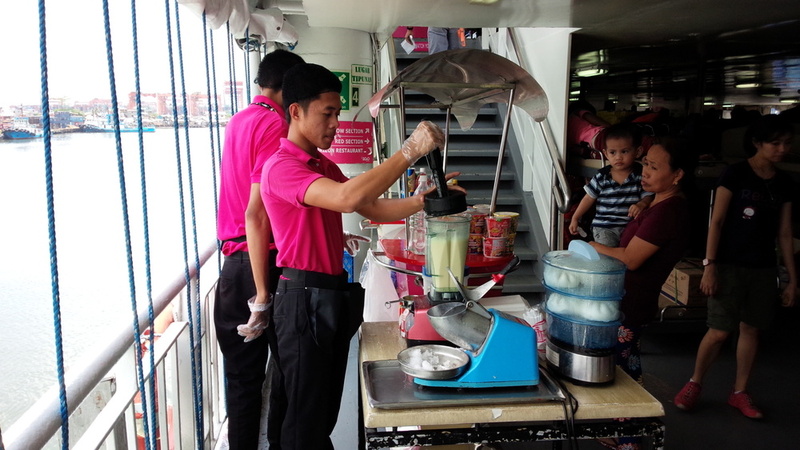 Food is also sold on board with staff walking around offering different snacks from fruit shakes to cheeseburgers. Lounges on the outside and inside decks are also provided for passengers. Bathrooms include sinks, toilets and dorm type showers. A few flat screen TVs can also been found lined on the walls. If you wish to upgrade from your accommodations granted that you are lucky enough space is available you can. To do so go up to the front desk lounge area and ask for an available upgrade space they will then take your ticket and let you know if space is still available close to departure time. Like on an airplane crew members demonstrate how to properly put on a life vest in case of emergency. All tickets automatically come with an ordered meal which you'll want for long trips. All in all we we're not disappointed with out 2GO experience and will probably book another trip with them in the future.